Where can you find Nebraska pharmacy statutes and regulations? 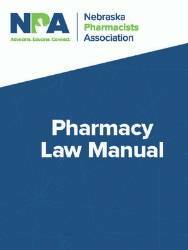 Order the NPA Pharmacy Law Manual and get the statutes and regulations for: credentialing, controlled substances, emergency drug box, drug repository programs, mandatory reporting, pharmacy technicians, automated medication systems and so much more! Please allow 7 - 10 days for processing.